PurpleState is an initiative of eTown, a non-profit media and community organization based in Boulder, Colorado. eTown's mission is to inspire community and social change for the better through music, arts, and ideas. For 27 years, eTown's flagship radio program, co-hosted by founders Nick and Helen Forster, has featured intimate performances with iconic musicians and up-and-coming artists from diverse musical traditions, and has elevated critical conversations around the issues of the day through the eChievement Award for social change pioneers, and through interviews with experts and thought leaders. Beyond the broadcast show, eTown offers a suite of media programming through it's YouTube and Podcast channels, while its world class production and event venue in Downtown Boulder, eTown Hall, serves as a hub for music, events, culture, and community. PurpleState's creator and eTown founder and co-host, Nick. PurpleState is a passion project of eTown's founder, Nick Foster. 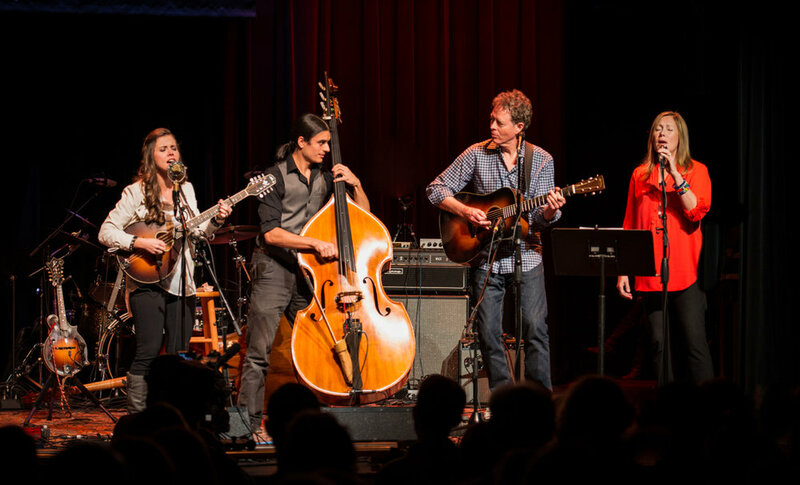 In addition to serving as eTown's executive director and co-hosting its flagship radio program, Nick is widely known as a member of the award-winning bluegrass band, Hot Rize. In inviting his fellow citizens into the PurpleState conversation, Nick's vision is to foster a democracy that will create a society he and the rest of us will actually want to be a part of.